When we queried if we would be able to drop off our luggage prior to booking, Claudia got back to us right away to say it was no problem. After booking, she immediately sent us her recommendations of what to see in Venice. And when we arrived, Claudia met us at the bus station and walked with us to the apartment and we were able to check-in right away! We were thoroughly impressed with her hospitality, and the apartment met our needs. It's so centrally located yet in a quiet area with all of the necessary amenities. We would not hesitate to recommend San Polo Feel The Center to anyone! We thoroughly enjoyed our stay, Claudia was fabulous. I would highly recommend Claudia’s place. She was so friendly and so knowledgeable. She made us feel completely welcome. 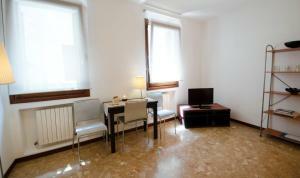 Very clean and cozy appartement in the heart of Venice. The host is very kind and pleasant person. The hosts are super attentive they received at the railway station accompanying us to the apartment, they gave us many tips from the city, restaurants and cafes. Meeting our host was very pleasant. We didn't expect it but she waited for us at St Lucia station and we went together to the flat which made it a lot easier for us! 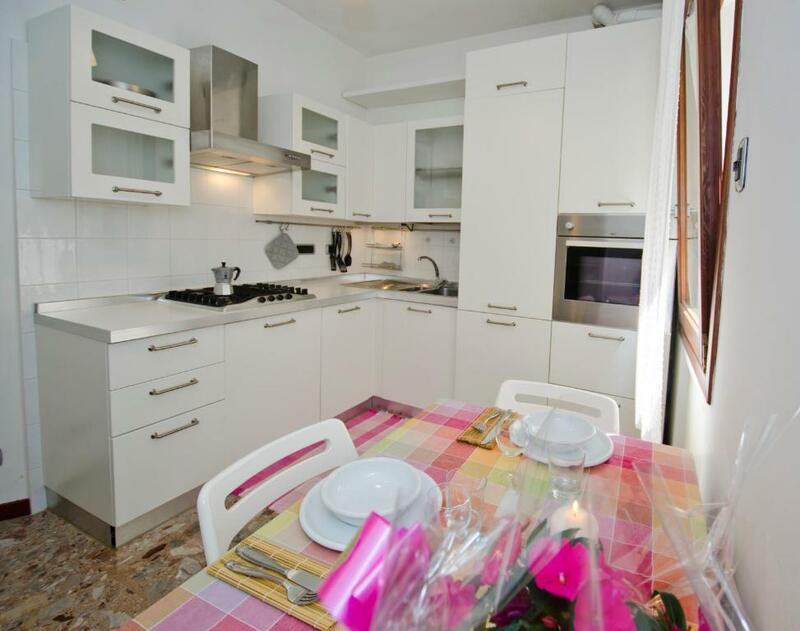 Everything in the apartment is excellent, the bed is very comfortable, the kitchen very functional and you'll be in the heart of Venice, with every attraction or means of transport close by foot. This is great for both the elderly and the young! Location couldn´t be better. Very nice and clean apartment. la chambre était agréable avec un grand lit et un très grand placard mural. la fenêtre de la chambre donne sur une ruelle calme. l'appartement est a 2 minutes du pont du Rialto et d'un arrêt vaporetto. pour ceux qui ne veulent pas chercher de restaurant après une journée de visite, un restaurant est situé juste a coté de l'appartement. Very well located, in a quiet street but really close to where the action is. The apartment is spacious, well lit and ventilated, with a good kitchen and living area. Good location-easy walk to all things. Off the tourist beaten path, which was peaceful. Nice to have washing machine available on site. Line to hang right outside bedroom (they even provided clips). A great experience. Lock in a great price for San Polo Feel The Center - rated 9.2 by recent guests. One of our bestsellers in Venice! 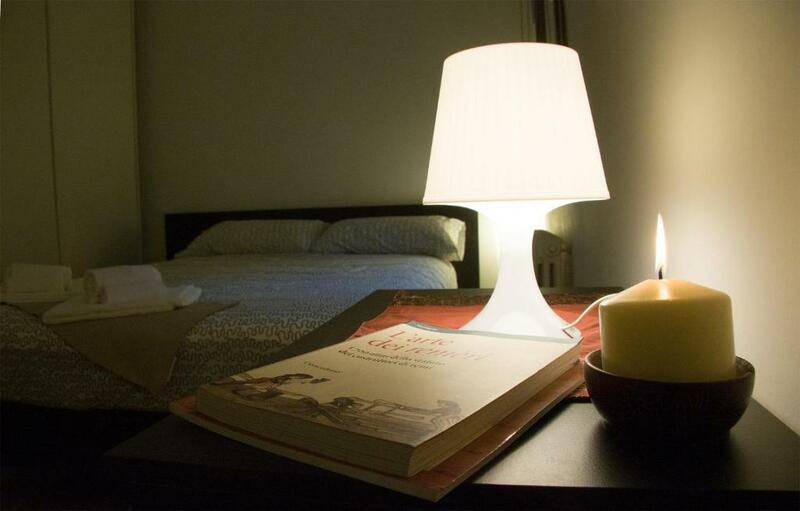 Situated in Venice, San Polo Feel The Center provides air-conditioned accommodation with a balcony and free WiFi. The property is a few steps from Ca' d'Oro and 350 yards from Basilica dei Frari. The apartment comes with 1 bedroom, a living room, a dining area and a well-appointed kitchen with a dishwasher. The apartment also features a seating area, washing machine and 3 bathrooms with a bidet and a shower. Scuola Grande di San Rocco is 350 yards from the apartment, while Rialto Bridge is less than 0.6 miles from the property. The nearest airport is Venice Marco Polo Airport, 13 miles from San Polo Feel The Center. San Polo Feel The Center has been welcoming Booking.com guests since 3 Nov 2016. When would you like to stay at San Polo Feel The Center? Recently and completely renovated, is perfect for entertaining, self catering and / or unwinding after a lovely day in Venice, so you can live like a local. It is a spacious 1 bedroom apartment, ideally for 2-3 persons. Guests will enjoy this stylish apartment located on 1st floor, composed by a well equipped kitchen, a luminous living and dining space with TV and internet wi-fi service. From the windows of the house, breathtaking view of the city will delight your stay in this apartment. Comfortably sleep 2-3 people, with 1 large double bedroom and 1 sofa-bed for 1 person in the living room . The apartment provides 1 bathroom with 1 shower and window. Hi, my name is Claudia and I'm the owner of the property. I am doing this work for many years and I have concluded that in order to be successful with my work my main priority is the guests' pleasant stay. For this reason, I am working with more people so we can make all together a better booking process and stay for the guest. In order to accomplish this, the cleaning team is going to clean before your check -in so you can find your apartment clean and tidy, our check-in person is going to assist you when entering your apartment so you can make full and proper use of it and our booking management team is going to take care of your communication by transferring and organizing the way your needs and wishes will be accomplished. 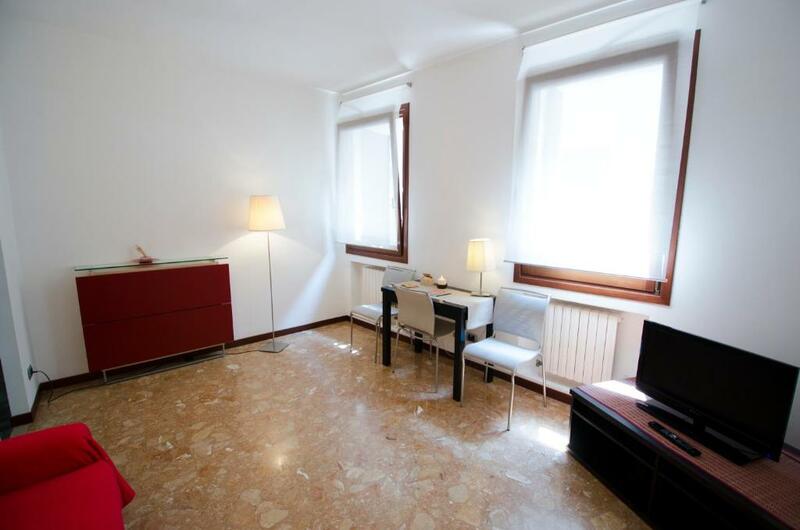 Located in San Polo, a historic conservation area containing this lovely self-contained apartment. A short walk from a variety of restaurants, nice coffee shops, pubs and bars as well as supermarkets. Superb location, just 5 minutes walking from Ponte di Rialto and 15 minutes walking from Piazza San Marco. There is plenty of history nearby: Basilica of Giovanni and Paolo, San Marco square and its church or Palazzo Grimani museum, are just some of the closest to the apartment hotspots. House rules San Polo Feel The Center takes special requests - add in the next step! Please inform San Polo Feel The Center in advance of your expected arrival time. You can use the Special Requests box when booking, or contact the property directly with the contact details provided in your confirmation. Please note that the check-in and key-collection take place at: Stazione Centrale Venezia Santa Lucia, 30121 Venezia. We weren't bothered at all but those more sensitive to noise might find the bit of noise from the restaurant downstairs to be a bit noisy. Veneza is very nice and the apartment is very good. The place is above a restaurant where you can hear everything when it is a functioning, luckily the place is not open all day and night. It was a very big communication problem after the booking. We could not reach the contact person for weeks. She did not answer the phones. She did not answer the e-mails. After i got contact info of the owner, the communication problem solved. My suggestion is: Get the contact info of the owner as soon as possible. Great location, easy walk to main atractions (5 min to Rialto bridge), close to the water bus. Clean and comfortable. Really nice owner who welcomed us and show us the way to the flat. Recommended!